The kids events and staff were excellent. The pools were excellent. The access/proximity to the beach was excellent. The breakfast/dinner buffets were comprehensive and well made with a lot of options. Food was excelent and kids pool was unique. When I asked they upgraded my room so it met my expectations, but rest of my Family stayed in very old rooms. Super friendly staff. Pool area, lawn and garden to the beach was great. Beachfront is perfect. Room was big. Great balcony. The entertainment was funny. The children's staff were really good and engaging. The massage at the spa was amazing. The food was good especially the freshly cooked meat and fish. There was a great variety. Having a really warm children's pool was fantastic. 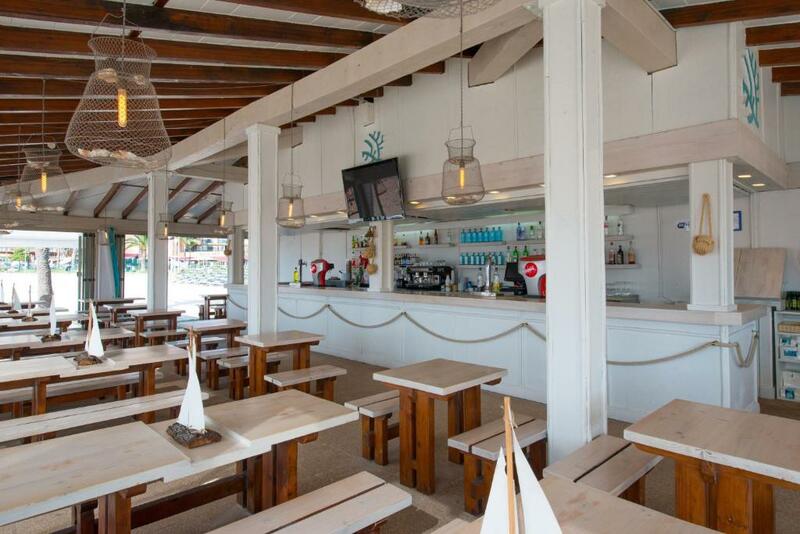 Very pleased in general, room was great, food was great and location is right on the beach . The hotel and staff are great , holiday a like expensive When looking back . Common areas like pool, restaurants, entertainment areas etc were excellent. Bach is literally in front of the hotel garden and very nice. Staff was nice and spoke mainly very good English. Food was very good and very reasonably priced (clearly exceeded the expectations and first time we had majority of our lunches and dinners at the hotel). This is a very family friendly hotel and we really enjoyed our time. We had a great holiday. Everywhere you look was clean and close to the beach. 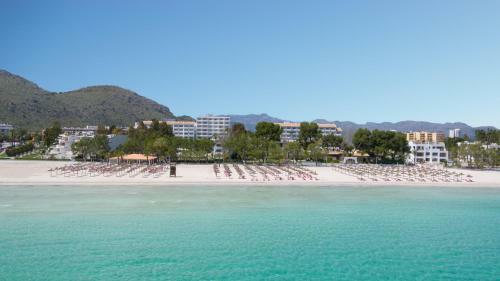 Lock in a great price for Iberostar Ciudad Blanca Alcudia Apartamentos – rated 8.1 by recent guests! 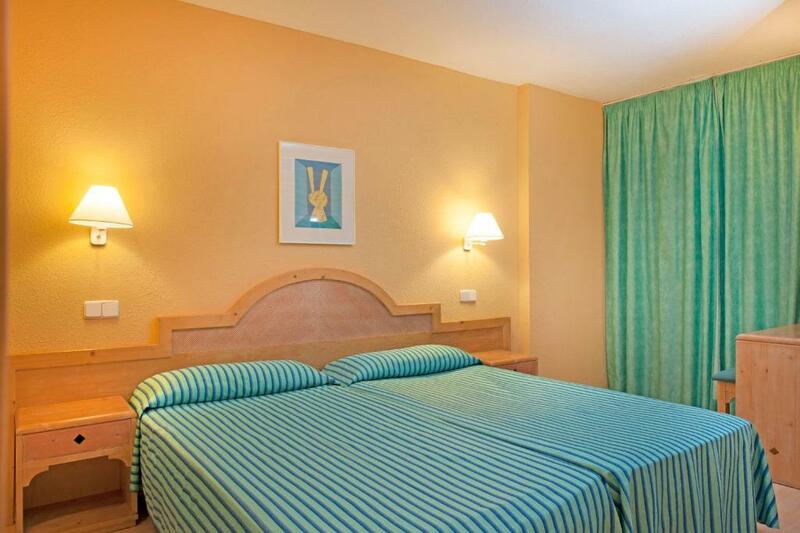 Iberostar Ciudad Blanca Alcudia Apartamentos This rating is a reflection of how the property compares to the industry standard when it comes to price, facilities and services available. It's based on a self-evaluation by the property. Use this rating to help choose your stay! 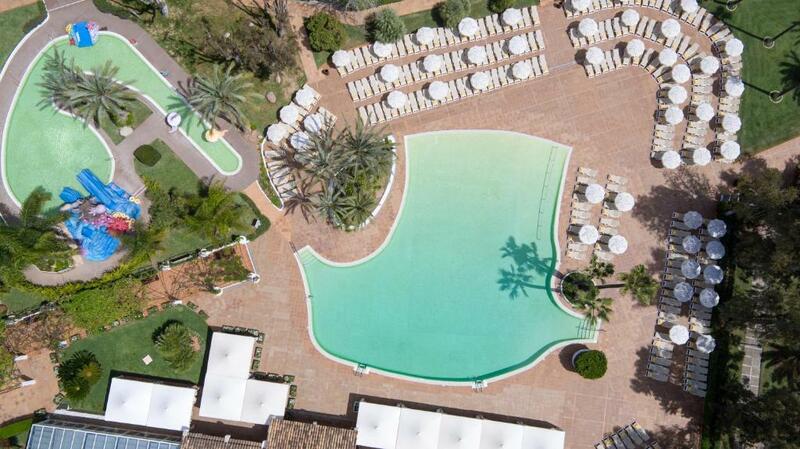 One of our top picks in Port d'Alcudia.Located right on Alcudia Beach and a 25-minute walk from Alcudia Port, Iberostar Ciudad Blanca Alcudia features an outdoor pool with sun loungers and free gym. All air-conditioned apartments include a flat-screen satellite TV, telephone, and safety deposit box. The small kitchen corner is equipped with a hob, fridge, and dining table. The property also includes a bar, games room with table tennis, and a children's playground. Car and bike rental is also available. Laundry and baby-sitting services are offered for a surcharge. Alcudia Old Town is 1.9 mi from the aparthotel. Busses to central Alcudia, Port de Pollença and Palma stop just 1,000 feet away. Free public parking is also available nearby. When would you like to stay at Iberostar Ciudad Blanca Alcudia Apartamentos? This apartment with air conditioning features a small balcony with garden views. The seating area comes with a sofa and the adjoining kitchenette is equipped with a hob, fridge, and dining table. The private bathroom includes a bathtub. Free WiFi is available throughout the property and premium high speed WiFi is available for a supplement. This apartment features a view, stovetop and dining area. Free WiFi is available throughout the property and premium high speed WiFi is available for a supplement. This apartment features a sofa, air conditioning and kitchenette. Free WiFi is available throughout the property and premium high speed WiFi is available for a supplement. This apartment features air conditioning, satellite TV and seating area. This apartment features a dining area, kitchenette and satellite TV. This apartment features a sofa, dining area and seating area. 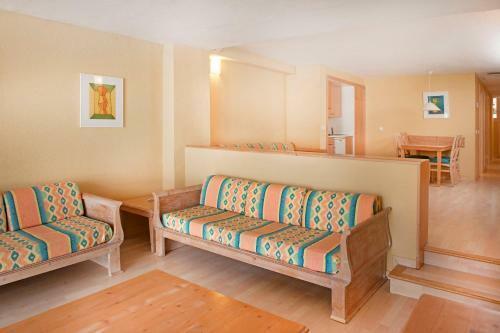 This apartment has a sea view, kitchenette and seating area. This apartment features a sofa, kitchenette and dining area. This apartment has a kitchenette, satellite TV and seating area. 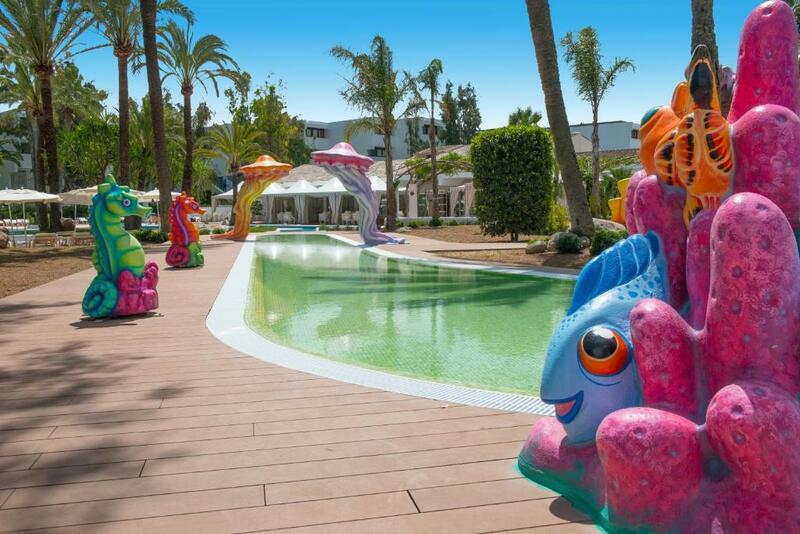 House Rules Iberostar Ciudad Blanca Alcudia Apartamentos takes special requests – add in the next step! 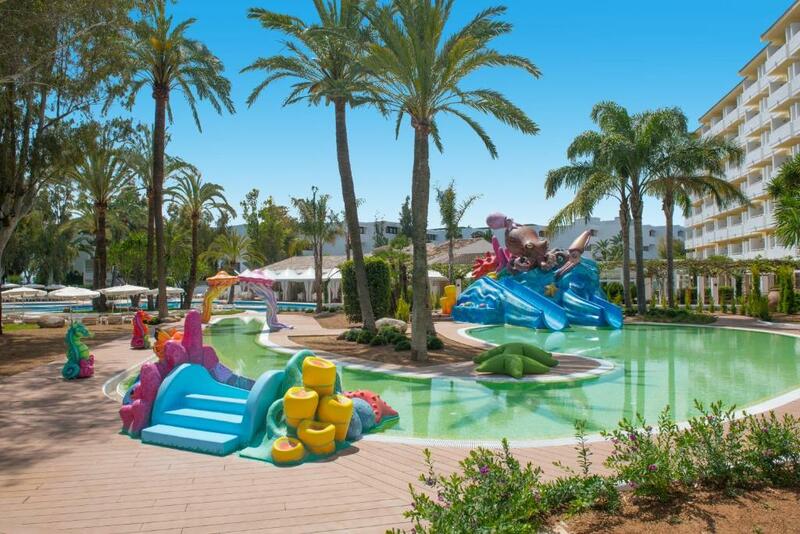 Iberostar Ciudad Blanca Alcudia Apartamentos accepts these cards and reserves the right to temporarily hold an amount prior to arrival. Please note that there is no elevator at the property and access is via a spiral staircase. I do not understand why very few hotels accommodate large families in Europe. We have four children (all under age 12) and were forced to get two rooms (and they were not next to each other but a five minute walk apart although in the same building but not the same floor). We all fit into one room without any extra beds so pretty much paid for a second room for no good reason. Mattresses were hard and not comfortable. WIFI in room was marginal to poor. So old rooms in the main building that need omplete renovation! For the first time in my life hotel system did a mess with my reservation value during checkin. Kids recreation was poor, although satff was friendly, facilities do not allow to leave your child alone as in other hotels with recreation. The rooms were a bit dated, we have expected better interiors with regard to the 4 stars and the overall impression of the hotel from outside. However, this was a minor disappointment that was more than compensated with all the other pluses. We loved everything, can’t fault a thing! The room decor was a bit old and needed to be freshened up. The ceiling in the bathroom leaked, lock on door did not work well, light did not work outside door, turning stairway difficult to go up with bags, and was dirty. Very limited equipment in kitchen. Spa is very small. There was no kettle in the room, just a microwave. Entertainment team going extra mile!!!! They could do with late night snacks as food finishes at 9.30 and only think available then is nuts . The rooms at least in the building 6 (old side of the property) really need a proper refurbishment. Everything was quite worn out and not in line with the expectations for a 4 star property. Especially the kitchen area is pretty useless: we used the fridge (which door always got stuck on the floor) and sink. In the end this didn't matter because of the good restaurant in the hotel. Also overall the room, despite not being as fresh and high quality as we had expected, it worked out in practice thanks to having lots of space and being rather practical than fancy. Also cleaning was frequent and they did good job. Because was so many families with kids , they should have a no smoking policy. The matress was terrible. 4 star without elevator is a joke. Good location, very close to the beach. Children pool was also nice. Buffet restaurant dinner menu was changed every night.